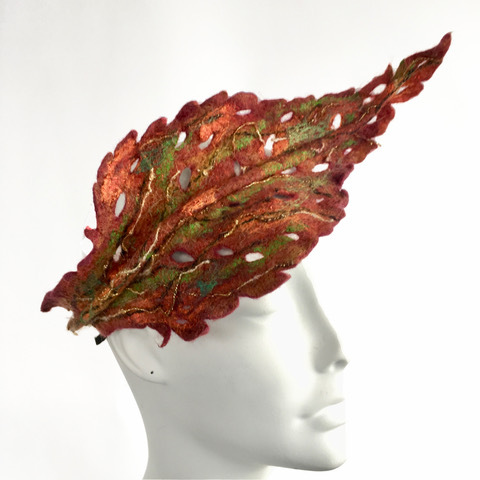 Our “Leaf” fascinator is the vibrancy, energy and inner battle of March in Vermont. The spring green mixed with metalics and mesmerizing coppers and oranges are the magic of what is to come. 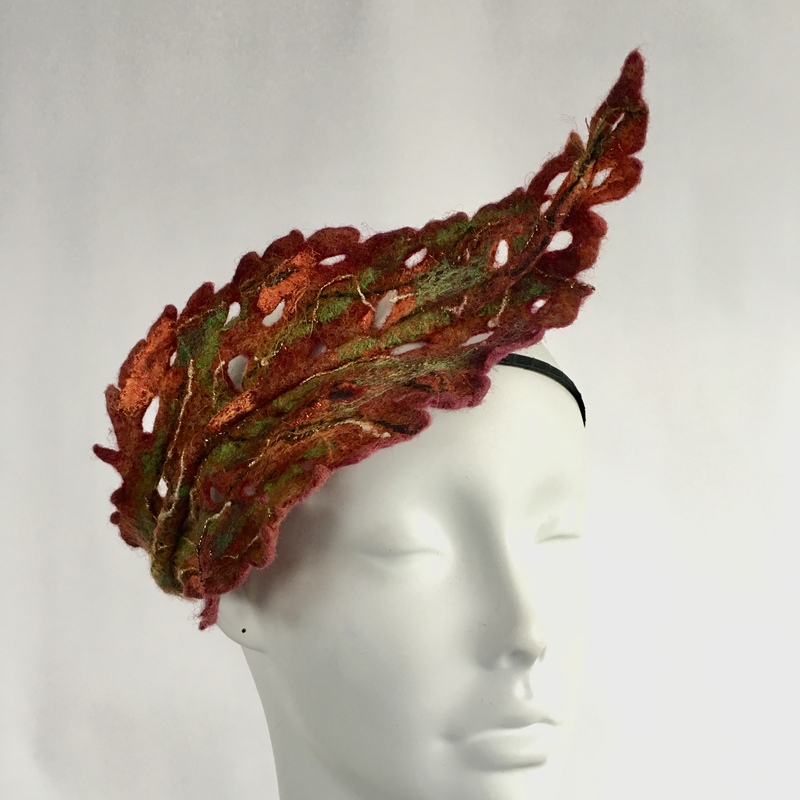 We have hand-felted and sculpted this fascinator, and cut and stitched it– custom-made for your inner Spring Goddess! Once size fits all. Fascinator is fixed to the head with an adjustable, satin-wrapped wire headband.